Over the next few weeks you'll find a couple of posts, including this one, which are a little out of the ordinary, but I'm hoping you will find them just as interesting.. This post is about a project that I've been helping with and might not fit with the theme of my blog in the conventional sense. 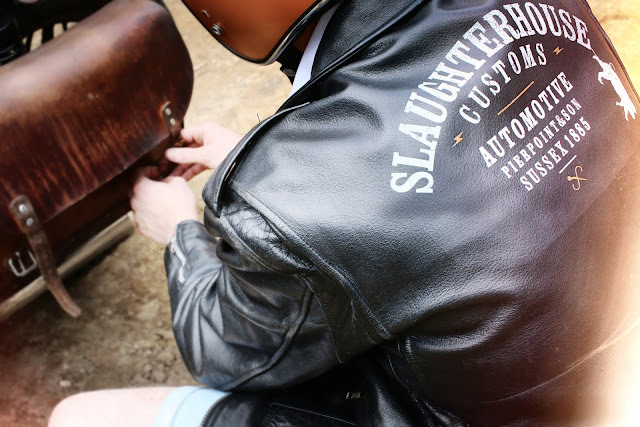 The passion and enthusiasm built into this company and the sense of pride I have for the team working on Slaughter House Customs, means it deserves its very own category. 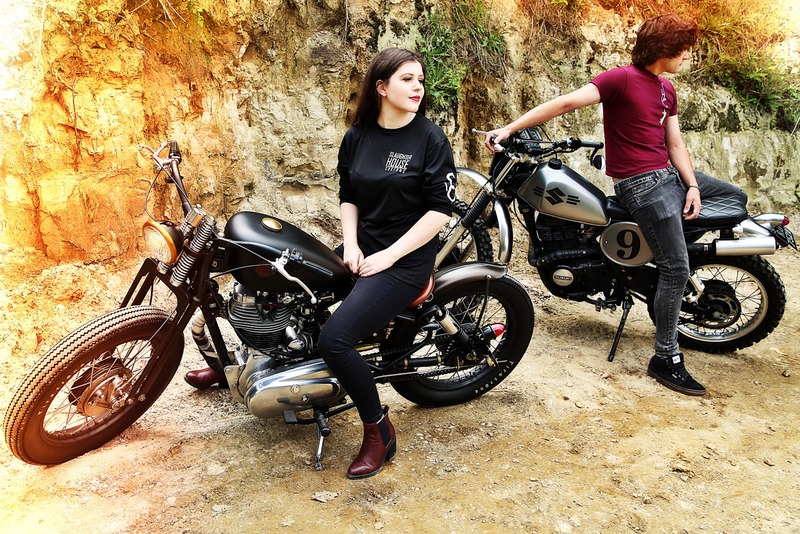 Slaughter House Customs is a motorbike and apparel company set up by my friend Ben and his dad Kevin. 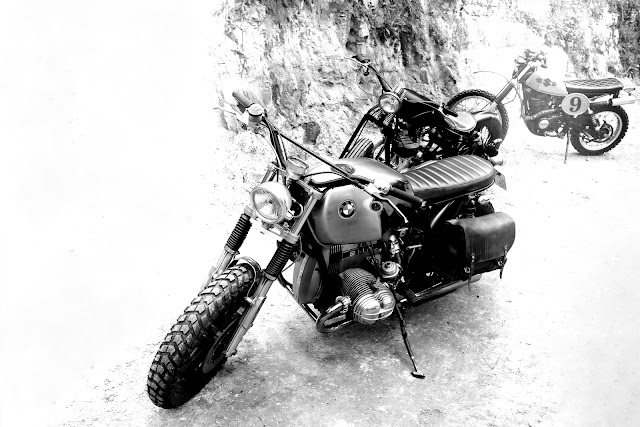 Together they custom build motorbikes, restoring them to their former beauty. 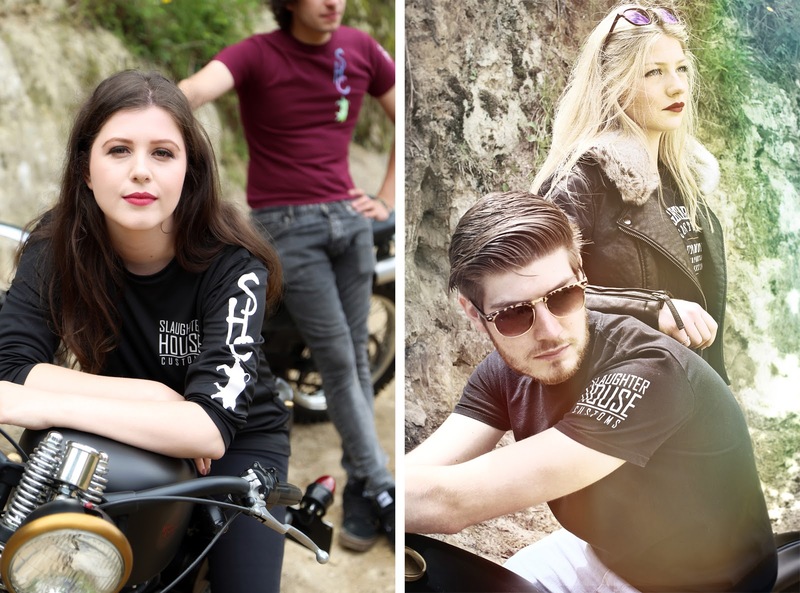 They also design and source clothing that works just as hard as the bikes. Their clothing and accessories give the style factor that was missing from biker wear a few years ago. Biker jackets in leather and suede and silk scarfs work whether you're part of the biking lifestyle or you're just after giving your look the edge, and that's where I come in..
Queue the first photo shoot of 2017, and I find myself turned into a full on wannabe biker chic. I might already have some biker chic boots and a leather jacket but throw on a SHC tshirt, a bit of sass and I'm sat astride a motorbike, looking down a lens, trying to get an idea for what riding a motorbike really feels like. 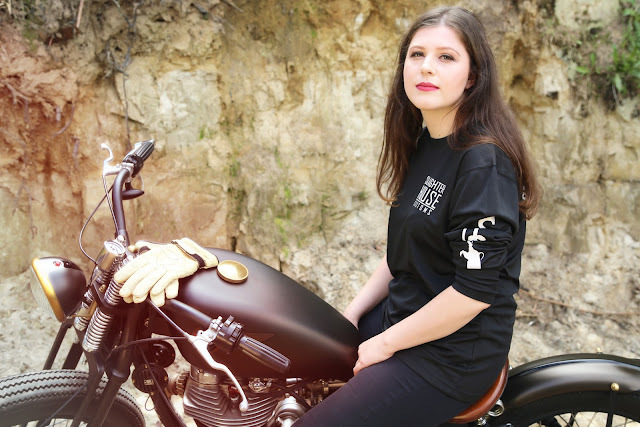 Gone are the images of scary biker gangs and instead in its place is a sense of freedom and unity. Although it will be a long time before I ever have the nerve to venture on a bike, the possibilities of where the bike can take you is an exciting thrill that could just tempt me. Biker gatherings are no longer just for the guys either, with females groups growing in numbers and getting their wheels on the map! 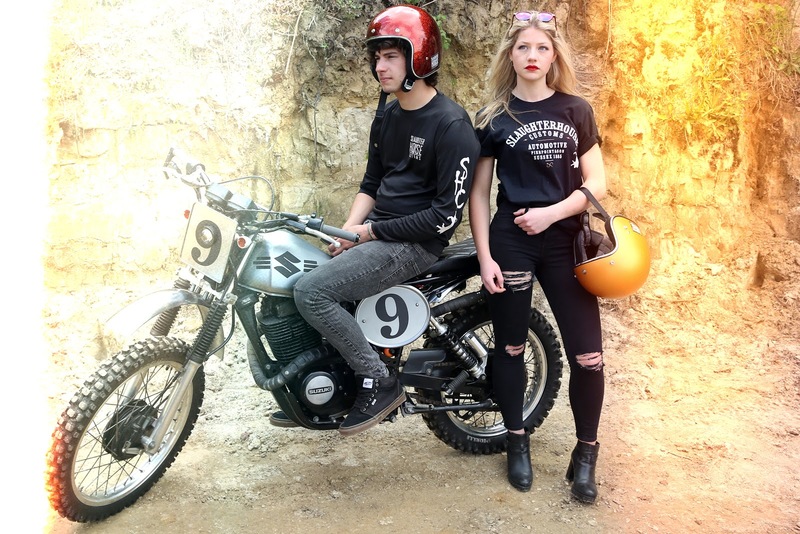 Motorbiking might not be my usual cup of tea but its something I will definitely be a part of when those same feelings are so regularly duplicated through the fashion and blogging world. Being able to help out with the clothing side where I can, I'm willing to throw myself wholeheartedly into the biker lifestyle! 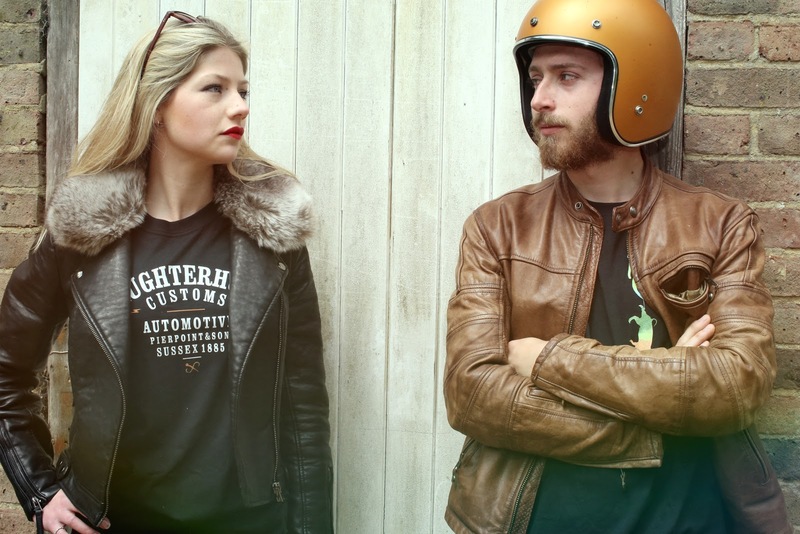 Coming up on Saturday 10th and Sunday 11th of June is the Brighton and Hove Motor Show at the AMEX Stadium. You'll find the Slaughter House Customs team, including myself, displaying some stunning bikes and cars. 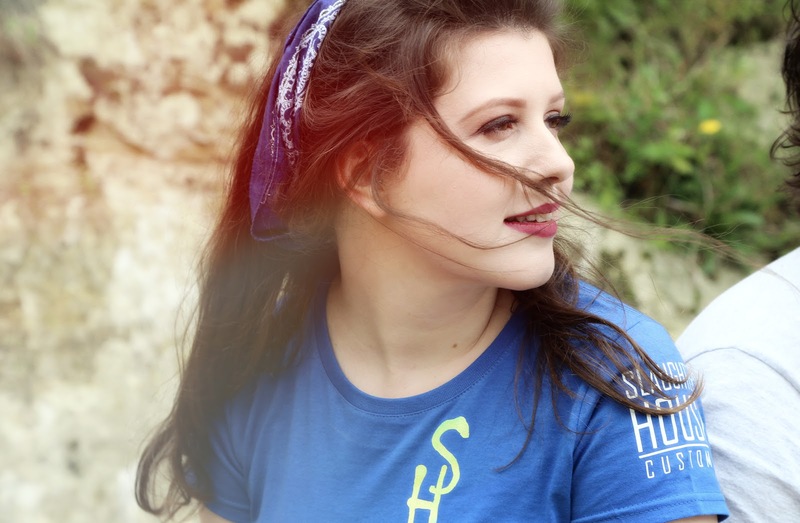 Some friends and I will also be sporting some of the SHC clothing including a sneak peak of the possible female range in the pipeline. We hope to see you there.. Photography and editing done by the brilliant Natasha and Marcus Ward! 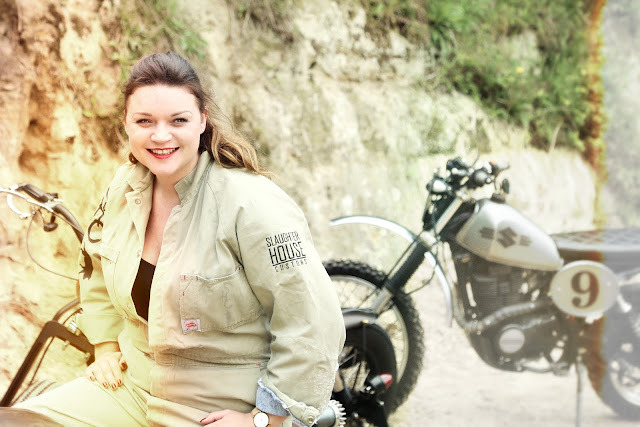 Sussex Fashion Blogger and Stylist with a sprinkling of Beauty and Lifestyle. © Forever Styling | All rights reserved.